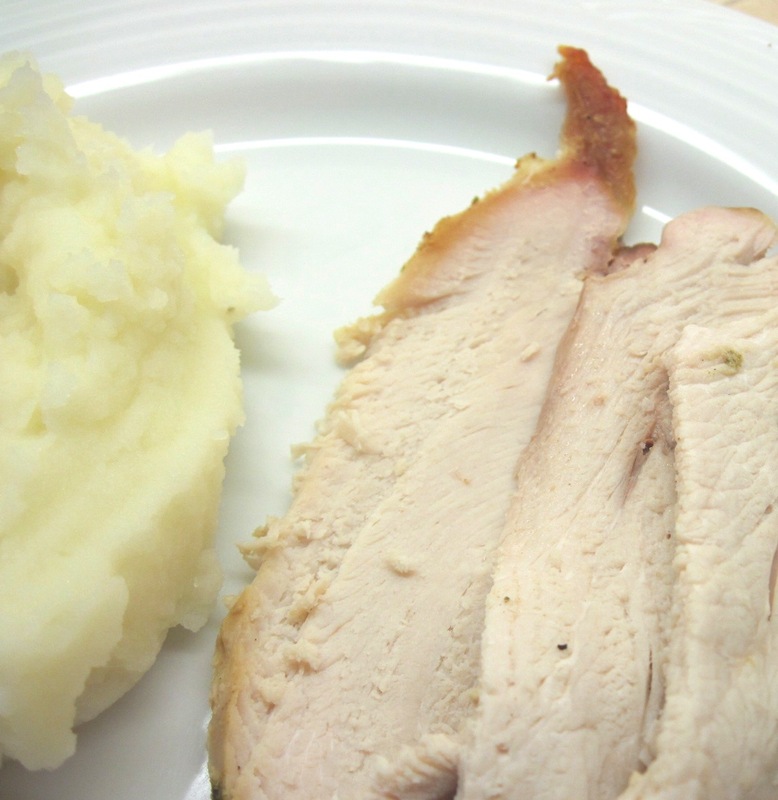 Turkey breasts are easy to roast. You get a great meal the first night, and you’ll have leftover roast turkey for future dinners and/or sandwiches. 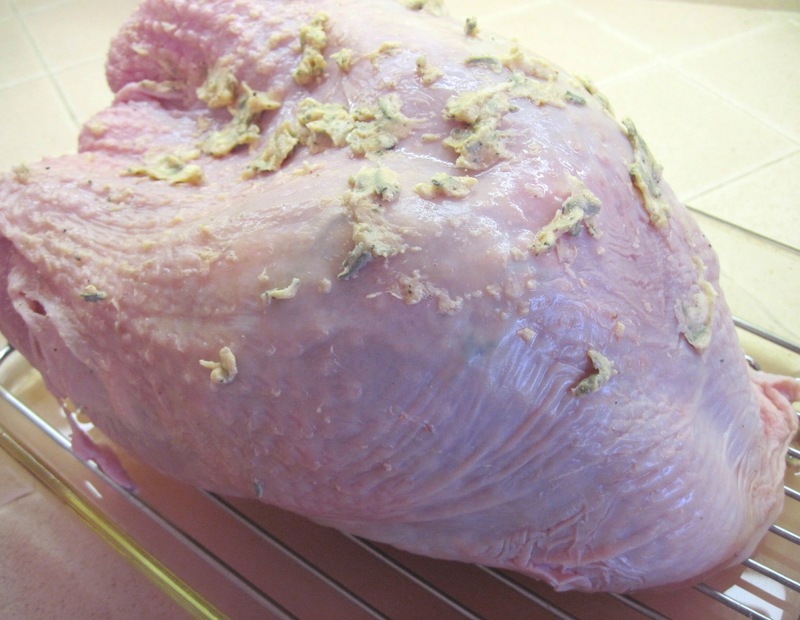 According to the wrapper on the turkey, my seven pound turkey breast would take 2½ – 3 hours at 325˚. With the time it takes to get the turkey ready to go into the oven, I allowed about 3½ hours. Rinse the turkey breast and pat dry with paper towels. Put the turkey on a rack in a pan. Slide your fingers under the skin and gently separate the skin from the meat. Combine the mustard, sage, salt, pepper, butter and lemon juice and stir to form a paste. Spread half of the paste under the skin on the meat. Spread the other half over the skin. Pour water in the pan until it almost reaches the rack. Put the turkey in the oven to roast. Optional: Pour the juices in the pan through a strainer into a pan. Bring to a boil and whisk the juices. Simmer for a few minutes. Serve the juices with the turkey.